March 05, 2019 PVX Plus Technologies Direxions 2019, You can now register! Save the dates for the upcoming PVX Plus Technologies technical conference, Direxions 2019! Register before March 31 2019 and you will receive a $ 100,- discount! June 25 2018 The new PVX Plus Forum. Available now! For years the PVX Plus mailing list has been used for all questions and answers regarding the PxPlus products. Due to the GDPR legislation this has now come to an end and the mailing list is now being replaced by the new PVX Plus user forum. This patch addresses a few minor issues with the initial PxPlus 2018 and the new SELECT capabilities along with a new Windows only INFO command (non-WindX) which provides access to program and file information directly from command line using the new Application Framework Wiki subsystem. Due to the nature of this correction this is a full installation as opposed to an online patch update. 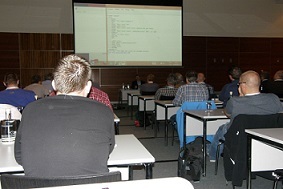 PxPlus Version 15 was presented by PVX Plus Technologies last month. From May 1st.2018, all new licenses purchased will receive a free upgrade to the latest PxPlus Version 15. From now on, PxPlus Version 11 licenses can no longer be upgraded. Only PxPlus Version 12 and higher…. The new PxPlus Version 15 is not yet available on the download page. As soon as this download and all PxPlus V15 information becomes available, we will let you know immediately. about PxPlus 2017 and the latest PxPlus 2018 version first hand, while enjoying this unique cruise. **New! ** PxPlus Version 11.5! Download it now! Save the date for the upcoming PVX Plus Technologies technical conference, Direxions+ 2014! On July 15 2013, PVX Plus Technologies released the latest update of PxPlus version 11, supplemental update 0004. 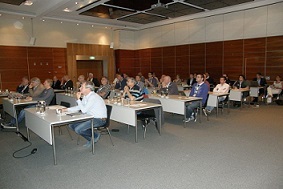 In addition to the successful PVX Plus Technologies event Direxions + 2013, we can look back on a very successful European EDIAS Software International Conference. 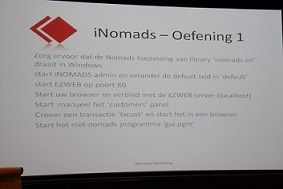 This time,held on June 3& 4 in Eindhoven(NL) and June 6 & 7in Frankfurt Am Main(DU). As with Direxions+ all the great new innovations of the new PxPlus version 11 have been addressed, this time presented by EDIAS Support Manager Eric Vanpaeschen. The response to the new opportunities PxPlusversion 11 has to offer have been extremely positive. 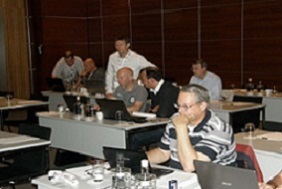 Also the iNomads Workshop has been greatly appreciated by our European partners. All new features of this product are discussed in this interactive workshop. We have heard many positive reactions, especially how easily and fast you can develop professional web applications with iNomads. This year presented by EDIAS Support Manager Tino Vanholst.After the conference while enjoying a snack and a drink in a friendly atmosphere, There was lots of activity, exchange of information and ideas, networking, knowledge sharing, and not to forget lots of laughs. Overall, a very successful conference. All participants, thank you foryour visit. We look forward to your visit on our next conference!